- We had a spirited start to the New Year and it continued for a while throughout January and later as well. The highlight for me for the month of Jan was meeting people and travelling. At the beginning of January, my brother in law visited us in Hyderabad. It was just for 2 days, but we made the full use of the time and it was rightly spent. 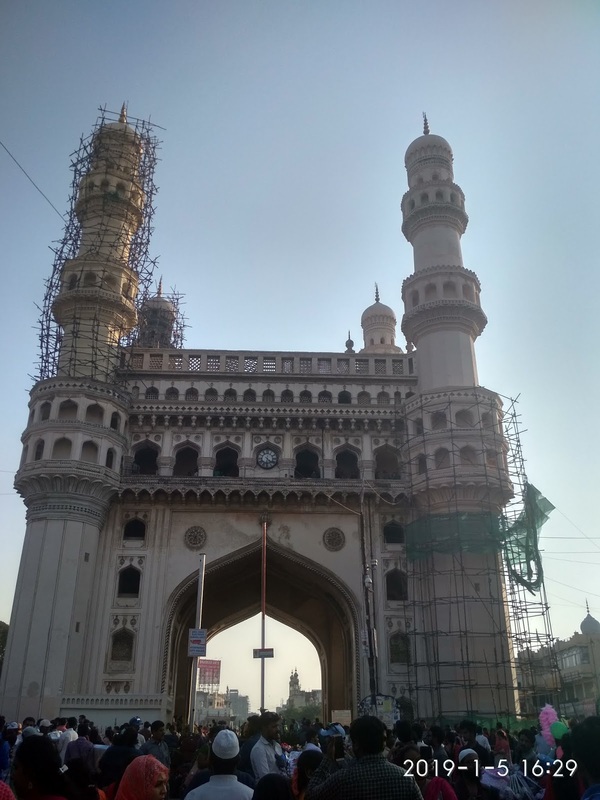 We went around a few places in Hyderabad – the famed Charminar, Chowmahalla Palace, Birla Temple, Necklace Road and drove around the city to show to him around. Since we moved to the city recently, it was a new experience for us too. - Soon after I visited my mom’s place in Assam for 2 weeks and it was 2 weeks of unwinding and recharging self. You can check out a short post I wrote about my hometown here. 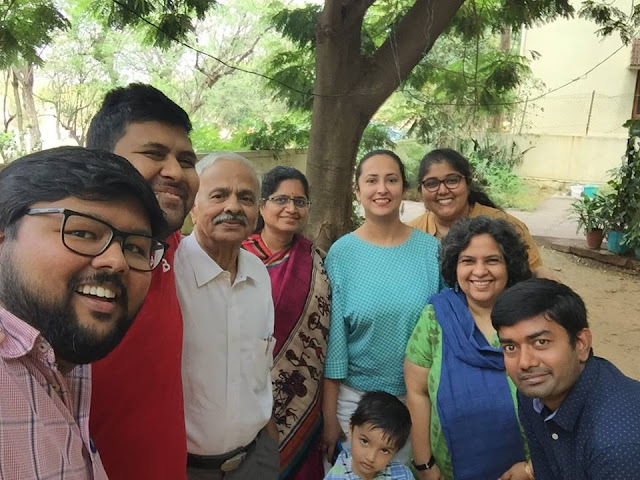 A cousin’s marriage in town added during my stay there – so met many cousins after ages and yes, there was awesome food to indulge in too. Overall, I had a gala time there. 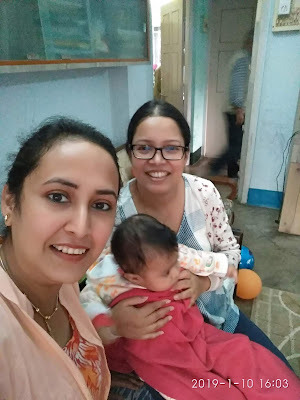 - On my way to Dhubri, I stopped by in the city of Guwahati for a few hours and had a quick catch up with my college bestie GD and also another fellow college mate (after 13 good years). There is nothing like meeting old friends and striking up conversations with them about the time gone by like it was just yesterday. - I was in Kolkata for 2 days where the little one got to spend some time with his grandparents. I also met my younger sister and my darling niece. 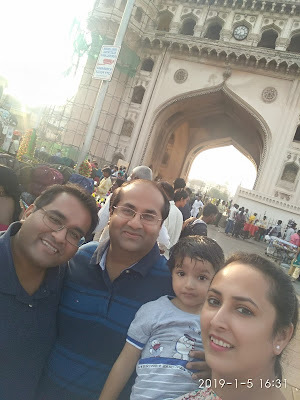 By the end of Jan, we were back in our abode in Hyderabad and in about a week time life was back to routine. January was jam-packed with travelling and meeting people and I believe it was a great way to start the year. February is the little boy’s birthday month and we had a small get together and celebration at home. As I see my child grow, I pinch myself – the boy is growing so fast. That is the thing about parenthood – one moment you want to fast forward it and in another, you want the time to stop. The high spirits that we started our year with ended right there for a while. The boy got infected with a hand mouth foot infection. And you can imagine how hard some days can be. But as a mum, I have learnt to take things one at a time as they come and not feel overwhelmed by it. And I am making progress one baby step at a time. February was also a month of major physical decluttering around the house (my WOTY - declutter). Organized and rearranged the cupboards around the house, tidied up of the balcony and planted some potted plants. For some reasons, decluttering also helps me to declutter my thoughts. I am an over-thinker and over-analyzer – wondering about why things happened the way they did, what I could have done things differently and all that. Some pondering is good – we should reflect on them, but sometimes I overdo it and it takes a toll on me. So when I have some activity to immerse myself in my mind gets some sort of rest. I also had some contemplative moments about life in general. Made some new acquaintances in this city, got in touch with some old friends, caught up with people over tea and made some progress towards my reading goals. The month of March has been a quick one for me. I can’t reckon now how fast the days went by. But it did have some really memorable days. 1. 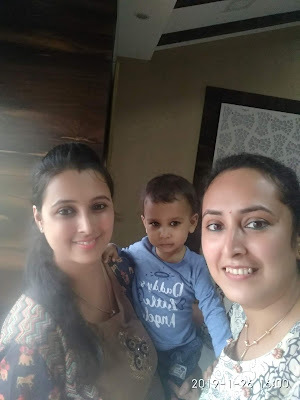 I attended my first blogger’s meet in Hyderabad organized by one of my favourite bloggers – Corrine of EverydayGyaan. It was a great experience meeting people whom I have followed in the virtual space for some time now. One of the people I will always remember from this meet is Raghava – it's inspiring how he is fighting against all odds and the matter of fact way he speaks about his battles gave me goosebumps You can check out his blog here. - Since March is the month of the festival of colours, just like every year I made this homemade Thandai syrup. 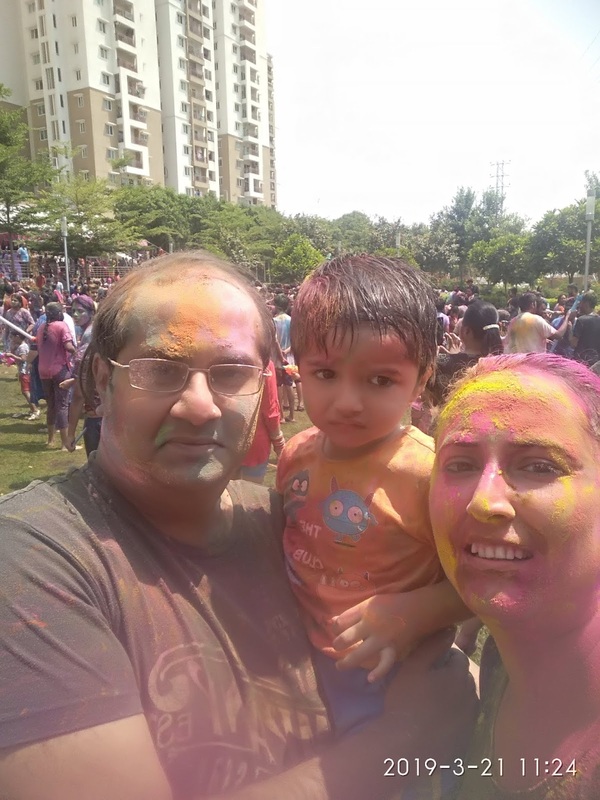 And yes, played with lots of colour on the day. But the little one wasn’t enjoying as much, so I had to withdraw early from the colour play area. 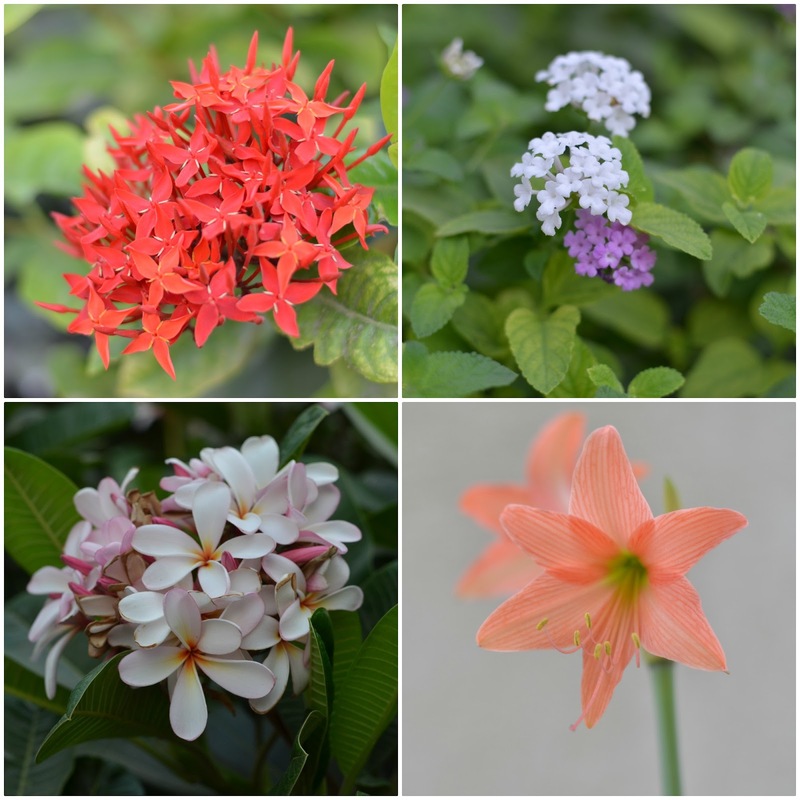 - Encouraged by my friends in the virtual space, I took up my DSLR again and brushed my photography skills by indulging in some flower photography. I am hoping April will be a month of a floral feast on my Insta Handle. This post wouldn't be complete if I don't tell you about the books I have read so far, so here is a quick list. Somehow I am not having the mood to write detailed book reviews of late. I hope this changes soon and you will see some book reviews on the blog soon. I am not on track for the number of books I had decided to read this year. But I am glad that I have read books from diverse genres so far and the to-read list is also looking interesting. April is looking promising as of now. Some celebrations on the cards and some new writing assignments, I know it is going to be a busy one. But one thing I am bothered about right now is the weather. It’s my first summer in Hyderabad and I am bracing myself for the heat. (it is quite hot already. Here are some things I am having to keep myself cool this summer - Shikanji, Kairi Panna and Masala Chaas. 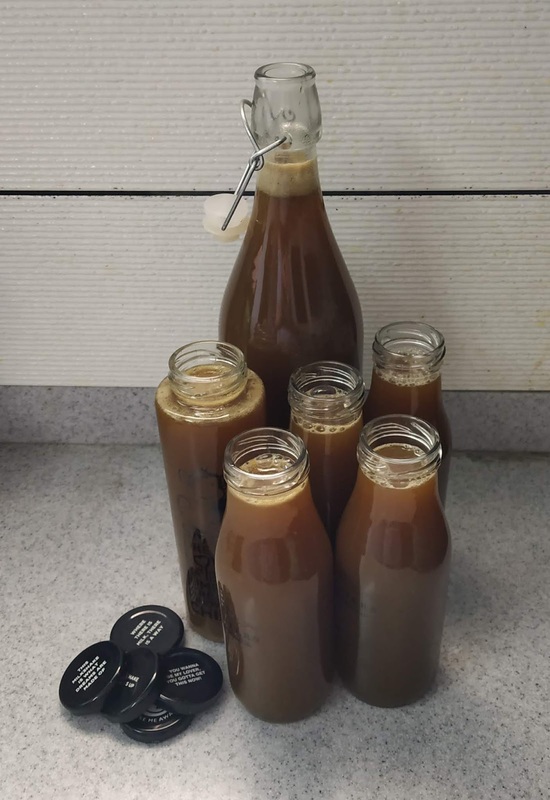 I will need to experiment more with some more variety of cool drinks now. 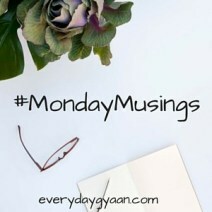 Linking this post of Corrine's MondayMusings and Vidya's Gratitude Circle.